Sedgefield is a vibrant and very positive village in which to live, work or play. A typical small market village dating from the 10th Century and centred around the Parish Church and Village Green, it grew rapidly during the 1960s and 70s to house predominately white collar and managerial workers from the expanding industrial conurbation of Teesside and surrounding areas. With our new NetPark, the village is now becoming an international centre of innovative technical and electronic exploration and experiment. Equidistant to the A1M and the A19, Sedgefield is ideally placed for easy reach of local major cities, shopping centres and places of interest, while local train stations and airports offer convenient access to areas further away. Driven by the enthusiasm and interests of local people, a superb range of leisure activities has also grown over the years and covers interests for all ages from mothers and babies to OAPs. There is a wide variety of sporting clubs, a very good Amateur Dramatic society which caters for children as well as adults, a three tier choir, a pro-active Community Association and a pub on virtually every corner!! Ceddesfeld Hall, the home of the local Community Association, provides a base for their own sections and activity groups and also offers an excellent range of family events throughout the year. The Mediaeval Fayre, on the Village Green and in Ceddesfeld Park, in May is a particular favourite, but it also hosts an Easter Egg Hunt, a Beer Festival in mid summer, Fireworks night in November and the Snow Parade in December. 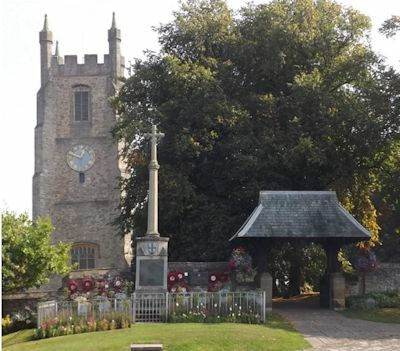 Families also take part in the Town Council 'Scarecrow' competition when ever more inventive entries are exhibited in gardens towards the end of the summer; the judging takes place at the same time as the competition for the tallest sunflower in the village. Sedgefield is also extremely fortunate to have an extremely hard working group of ‘Bloomers’ – who prepare and maintain the village’s entry to Britain in Bloom. So successful have they been in annually winning our category that we were asked in 2016 to enter the Champion of Champions. In our first year, we were delighted to be awarded the Runners Up prize. Hardwick Park on the western edge of the village offers an excellent venue for walking or cycling and is proving very popular with our Photography Group. It’s not only the children who enjoy investigating and probing the possibilities hidden in the water and undergrowth of the park; some visits have been very much hands-on and feet-in! The smaller park adjacent to Ceddesfeld Hall in the centre of the village offers further opportunities for a healthy stroll - and a chance to feed the ducks. The sloping and tiered lawns from the house to the duckpond provide a challenging and entertaining venue for sledging when we have enough snow; again not only for children. . . . .
Sedgefield also supports an active group of Veterans, ex-forces men and women who help to remind us of the sacrifices of their comrades in conflicts across the world. In recent years they have held vigils during the repatriation of fallen men and continue to maintain the flagstaff area on the village green. You might wonder, with all this activity, why we need a U3A? We did wonder ourselves whether we would be able to gather enough interested people to support a group when the idea was first mooted 6 yrs ago. However we are delighted to report that our membership has grown year on year together with an ever increasing variety of Interest Groups. Our monthly visitors speak on a wide range of subjects; some serious, some humourous, some of local interest, some of wider appeal – but all interesting, entertaining and informative. Do come along and join us. You may attend up to three times as a visitor, or join as a member immediately. We look forward to meeting you and welcoming you to our Interest Groups or perhaps helping you to organise a new one.